Gerhard Doerksen was born on December 11, 1866, in the village of Altonau, south Russia to Heinrich H. Doerksen (1831–1895) and Katherin Dueck (1838–1913). Gerhard taught school of the “Masterschule”, an elementary school associated with a teacher-training institution , possibly Halbstadt. He married Sara G. Peters (1875–1930), daughter of Gerhard Franz Peters (1838–1907) and Sara Enns (1847–1921). Gerhard Doerksen was also called to the ministry in the “Kirchliche”church and was ordained by his brother Diedrich Doerksen of the Mennonite Brethren Church. The family immigrated to Canada in 1923, and settled in Pigeon Lake, Manitoba where he died on October 1, 1930. 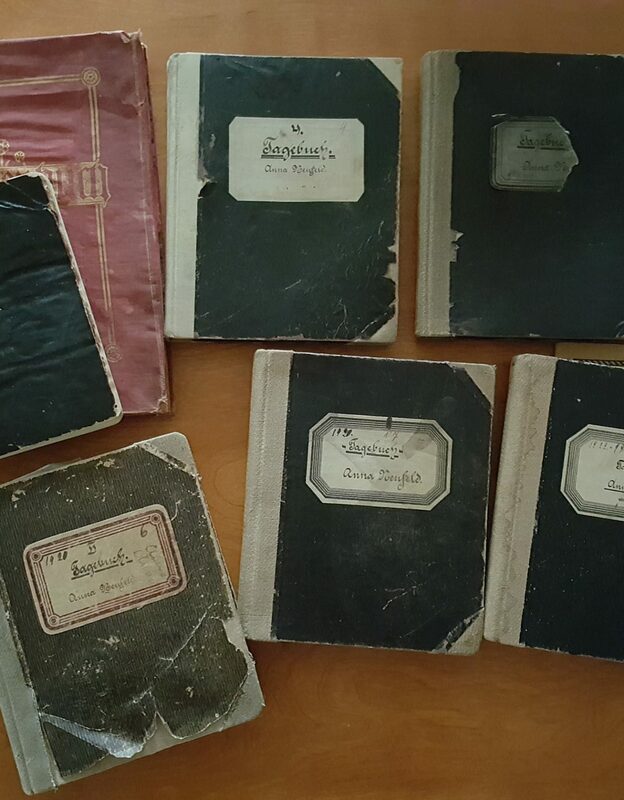 The books in this collection belonged to Gerhard Doerksen, who then passed them on to his daughter Sara (Doerksen) Schroeder. William Schroeder (832 Wicklow St., Winnipeg), son of Sara, inherited the books who donated them to the Centre on September 27, 1989. This collection contains books that once belonged to Gerhard Doerksen. They are all in the German Gothic Script. Described by Conrad Stoesz November 26, 1999. 1. Johann Peter Klassen, Brocken, Winnipeg, Manitoba, 1932. 2. Ernst Arndt, Polterabend ’ Aufführungen, Printed in Germany, 1927. 3. Loose pages of an unknown book(s). – [193-?]. 4. Oscar Blumenthal, Paula’s Erhrimnik, E. Steiger & Co. – [193-?]. 5. Ernst Modersohn, Daniel ein Bild der Treue, Printed in Germany. – [193-?]. 6. Ernst, Ammer, Kranz-und Schleiergedichte, Printed in Germany. – 1936.